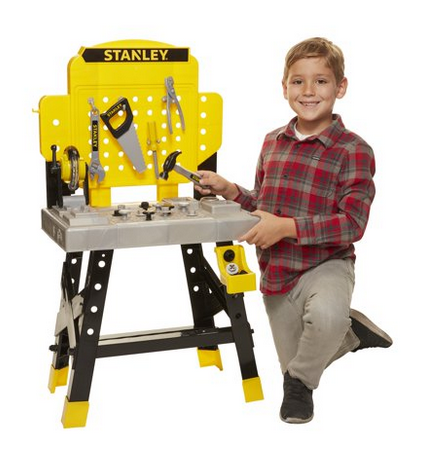 Walmart has the Stanley Jr. Mega Power N Play Workbench on sale for $25.98, down from $49.44. The workbench comes with a battery operated miter saw with realistic action and sounds. Push down the lever on the miter saw and watch the beads move around just like real sawdust. Includes popular tools such as a hammer, saw, screwdriver, wrench and pliers. Keep your tools and accessories in order by storing them in the various trays, or hang your tools on the included hooks.